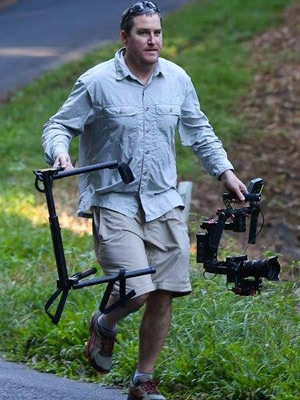 Dean has directed and DOP’d segments for a popular series on National Geographic & Netflix called 72 Dangerous Animals & 72 Dangerous Places to Live. He has worked on prime time television shows like The Block & Masterchef. Dean also developed and formatted a fishing series called “Big Fish Small Boats” with Al McGlashan as the host. Dean directed, produced, shoot, wrote, edited and sent off the master for 27 episodes. He also created an ultra endurance series called Weekend Warriors. Dean Is a total profesional. I have been using Dean on all my television projects for the last 4 years. He can do the lot, Shots awesome pictures in difficult situations and can make a story out of very little. Edits great action sequences where not much really happened. He is the guy you want on a long shoot day. Always calm under pressure and a good laugh when needed. Can not recommend highly enough.